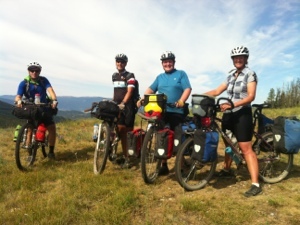 On July 4th, I left Banff, Alberta to cycle 2000 miles of the Great Divide Mountain Bike Trail. The links below outline much about my trip, which was amazing! Feel free to Read my blog posts, as well as to contact me if you have any questions about setting out on this adventure for yourself. It was wonderful, I highly recommend it! Mama Grizzly Can’t Get Our Food!